I’ve changed up the ordinary cake pops recipe. 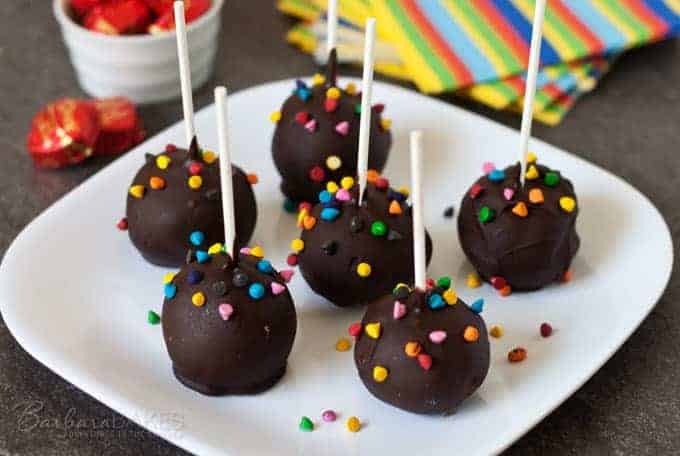 Instead of making pops with a cake mix and frosting, the brownie cakes pops are made with a fudgy brownie mix and then dipped in luscious chocolate. 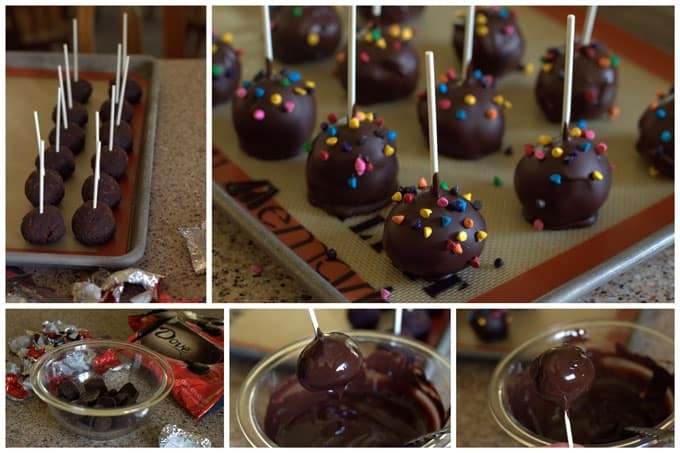 I originally teamed up with DOVE Chocolate to create these Easy Brownie Cake Pops using DOVE Silky Smooth Dark Chocolates. In the video below, I used Guittard Old Dutch Milk Chocolate Wafers. Calories only exist if you count them. 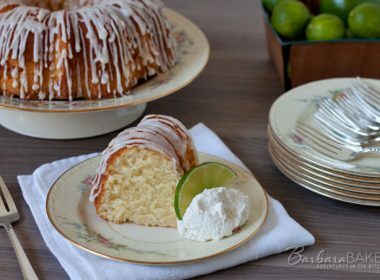 I’m an off and on calorie counter, so I often tease about calories in what I bake not counting. Although, if you are a calorie counter, I estimate one of the brownie pops has about 250 calories, and they’re so rich, fudgy and delicious that they’re worth every single calorie. 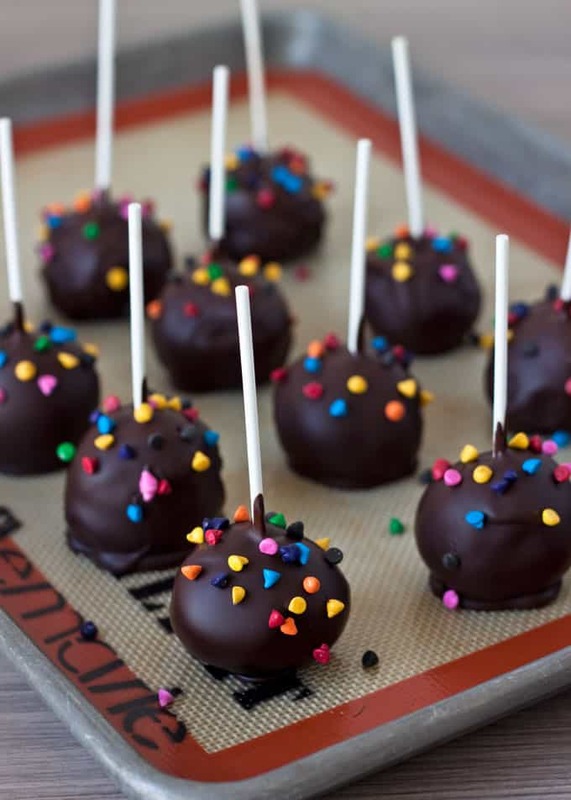 Not only are brownie cake pops scrumptious, the cake pops recipe is super easy to make. The recipe starts with a family size box of fudgy brownie mix. Of course, if you make fantastic from scratch fudgy brownies feel free to substitute your homemade brownies in the recipe. 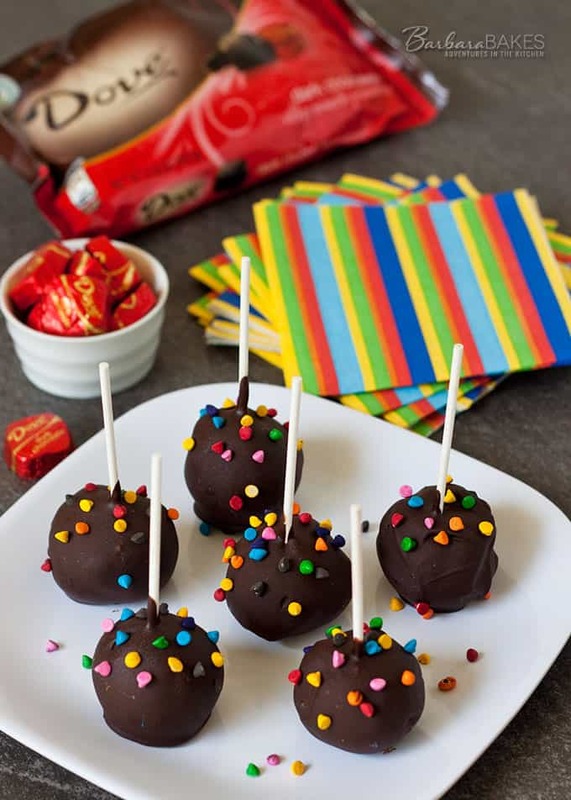 Once your brownies are baked, just cut off the edges and roll the fudgy brownies in to balls, put a lollipop stick in the middle and pop them in the freezer to firm up. You could toss the brownie edges in a freezer bag and use them in an ice cream sundae later, or do like I did and just nibble on them while you’re making the brownie pops. Once your brownies are frozen, unwrap your Dove chocolates and melt them in the microwave. Adding a little shortening helps to thin out the chocolate for easier dipping. I sprinkled the tops of my brownie pops with rainbow candy coated chips that I had in the pantry, but really any sprinkles you have would be a fun addition. I liked being able to serve the pops on a tray, but if you wanted you could decorate the other end of the pop and put them in a colander or styrofoam to chill and serve. 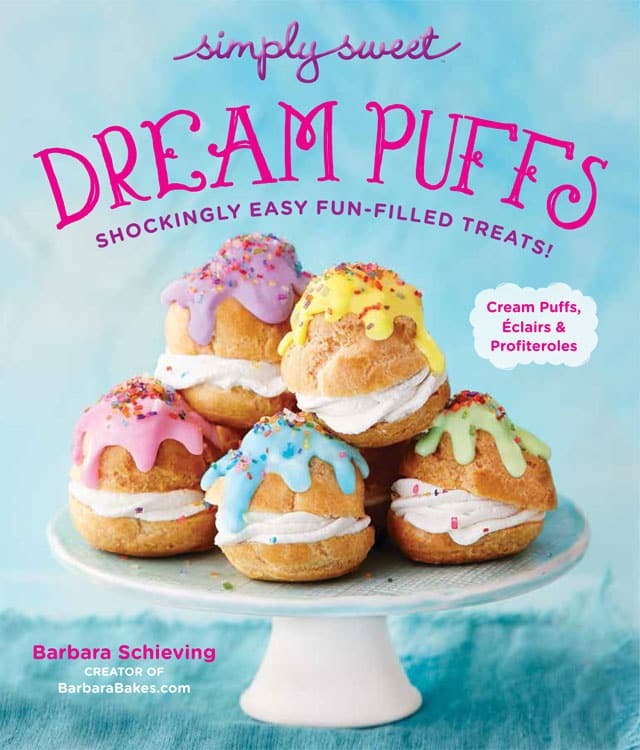 These fun, easy-to-make treats would be perfect to serve at your next summer get together. I hope you’ll give them a try. My family loves them. Preheat oven to 350°. Prepare brownies as directed on box, using the recommended oil, water and eggs for fudgy brownies. Pour batter in to a 9x9 pan sprayed with non-stick cooking spray. Bake 28–30 minutes until edges are firm and middle is set. Allow to cool for at least one hour. Remove cooled brownies from the pan and trim off the edges. Discard edges or reserve for another use. Crumble the remainder of the baked brownies in to a large bowl. Use a 1 1/2-inch cookie scoop to scoop brownies in to balls. Use your hands to smooth out the balls and place on a baking sheet lined with waxed paper, parchment paper or a Silpat. Insert a lollipop stick in to each brownie ball. Freeze at least 2 hours. Dip a pop in to the melted chocolate. If necessary, use a spoon to completely coat the pop with chocolate, then remove it letting the excess chocolate drip back into the bowl. Place on prepared baking tray. Scatter sprinkles on the top of the pop while the chocolate is still wet. Repeat with remaining pops. If the chocolate starts to get thick as it cools down, just microwave for 15 seconds. Put the baking tray in to the fridge until ready to serve. *I added two tablespoons flour for high altitude. Can I melt chocolate frosting to put on them? If I freeze hours before the shower will that cakeballs be hardened from freezing? Hi Trenna – they’ll keep fine in the fridge. Is there a reason you’d prefer to freeze them before the shower? My daughters first birthday party is Saturday and I’m freaking out! Reading these Q&A has helped me and answered all my questions. How many pops does this make? Hi Kate – it makes 16 pops. Enjoy! 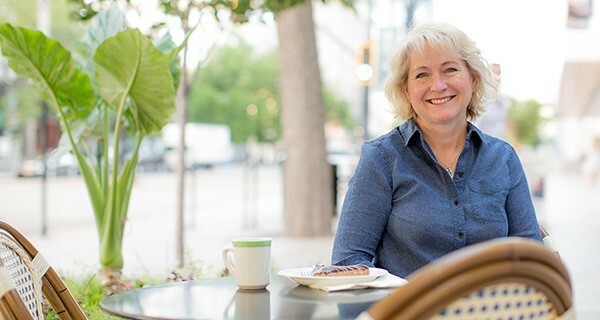 Hi Louise – it thins the chocolate so you don’t need quite as much and the chocolate layer isn’t quite as thick, but you could do it with just chocolate. Just be sure and keep it nice and warm. this normal? Would it be ok to put them in the refrig. or should they be put in the freezer before dipping? I want to make these pops for a baby shower, how long do you think they will last? 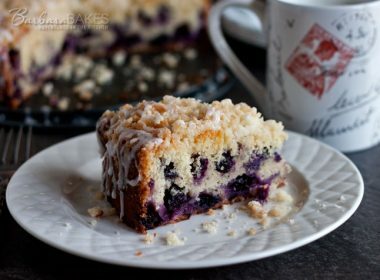 Can I make them a few days in advance, or do I have to make them the day before? Can I keep them in the refrigerator for a couple days? 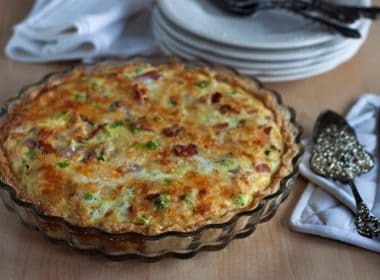 Hi Laura – you can make them a couple of days in advance and keep them in the refrigerator. Will it turn out fine if I substitute the dove dark chocolate with semi sweet chocolate chips? Please reply I don’t have the dove chocolate and was wondering if the chocolate chips would melt and harden good enough for the cake pops. Thank you! 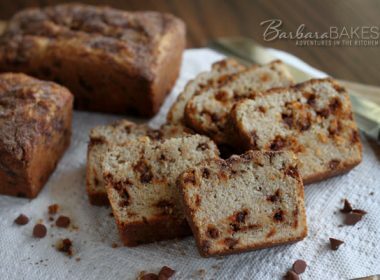 I haven’t tried it with semi sweet chocolate chips, but I think it would work just fine. Let me know if you try it. Hi Christie – yes, you could use vegetable or canola oil instead. Hi Michelle – the brownies are moist enough that they don’t need frosting. I can’t find a family size brownie box in my area. Can you tell me how many ounces it is so I can convert? Hi Carol – 18.4 ounces. Enjoy! Hi Barbara – I’m not sure the chocolate would freeze well, but you could make the brownie pops and freeze them, and then dip them a day before the party. Thank you for the quick response. 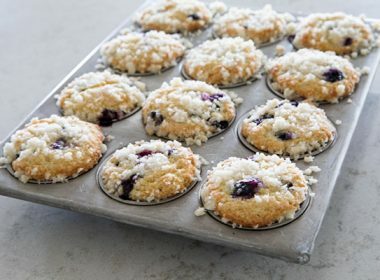 Will be making these for my Mom’s 90th birthday party Sat. I think it will be a hit! Wow 90th – that’s impressive! Have fun!